While hibernating has become a totally respectable way to spend the miserable winter months in NYC, there are still plenty of reasons to leave the great indoors. Stop scoffing. It’s true. Of course nothing can wholly replace 80-degree weather and glowing, tan skin, but at the very least, these tropically themed bars and cultural hot spots could warm you up to the idea of stepping foot into the bitter cold. Yes, I’m taking liberties with the name, but they don’t call it Pizza Beach for nothin’. Designed with Malibu in mind, the pre-waxed surf board adornment, greenery hanging all around (albeit ferns), and photographs of people you justly loathe on white sand beaches all have the potential to remind you of balmier times. And since your bikini bod isn’t a current concern, you’ll want to start with the meatballs and move onto the weirdly addicting Thai coconut curry pizza and the rock shrimp pie. Or there’s a one with kale and butternut squash for those pretending pizza has nutritional value. While Jack Frost is busy nipping at massacring any sign of life as we know it outside, inside Brooklyn Botanic Garden, flowers and plants are blooming in all their colorful glory. Stick with the summery-sounding indoor exhibits such as the Desert Pavilion, Tropical Pavilion, and Warm Temperate Pavilion. 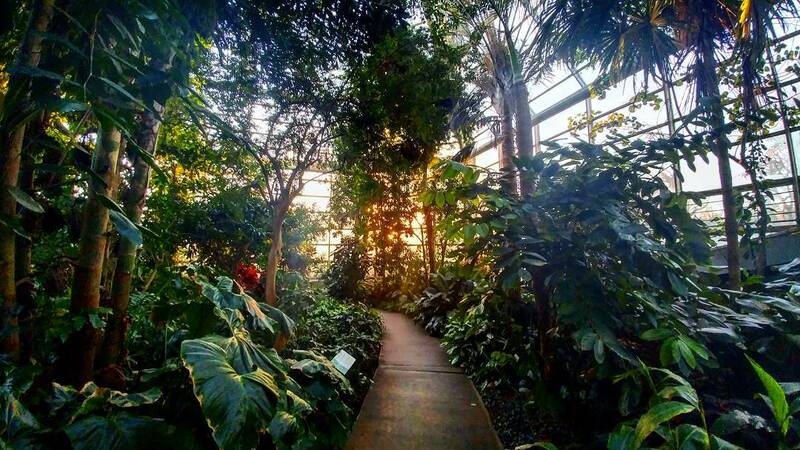 You certainly wouldn’t be faulted for going to Bronx Botanical Garden (it’s five times larger), but the BK location is typically easier to get to via public trans and is right by Prospect Park, Brooklyn Museum and lots of restaurants, so it’s easier to make a day out of. 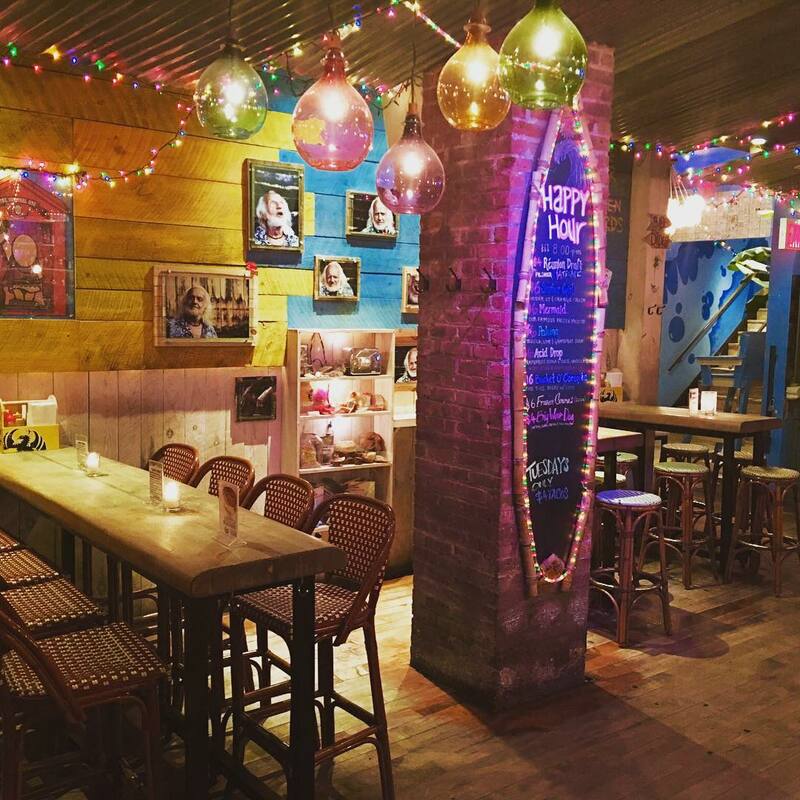 You probably had no idea until now that a French surfer bar existed in New York; or at all for that matter. Réunion is a small volcanic island off the coast of Madagascar that supposedly has fast waves, beer called Bourbon, Creole food and lots of fruit-infused rums. For Europeans, it’s reminiscent of Hawaii, sans grass skirts and tops on the beach. Basically this is the chillest place that no one’s ever heard of. Despite shirts being mandatory at the bar inspired by this magical isle, it still manages to have that certain summery je ne sais quoi. Fork over $100 and you can spend the day wading in and lounging around this glass-enclosed pool heated to perfection. 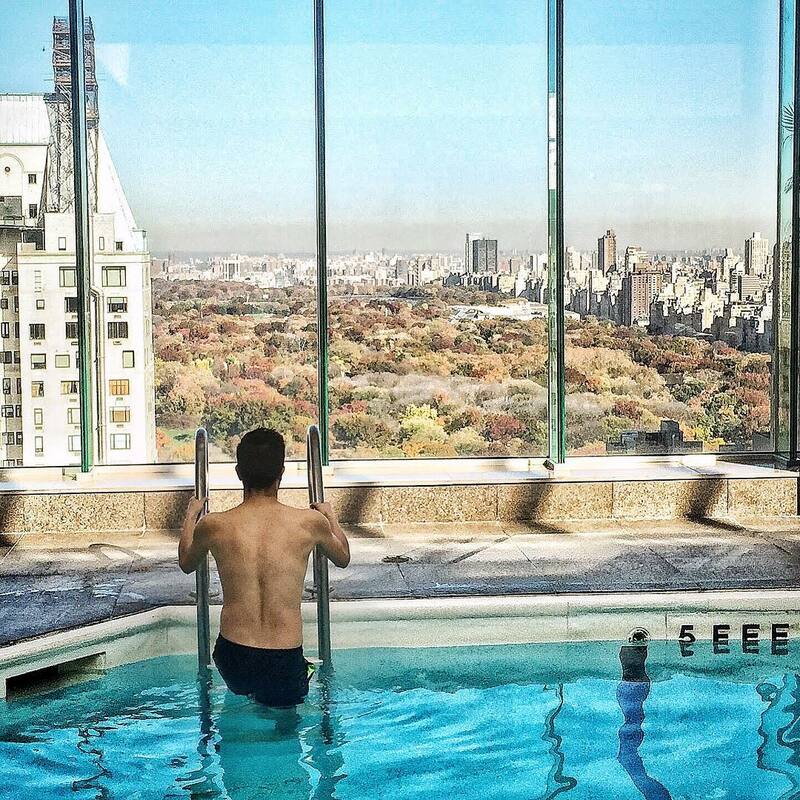 At 42 stories above the city, you won’t be so bummed about the lack of sunshine when you see the beautiful views of Central Park. Pack your own snacks or risk paying $22 for a club sandwich or $12 for some Ben & Jerry’s. The daily rate also includes access to their full-service gym so you might as well lift a weight and get your money’s worth. 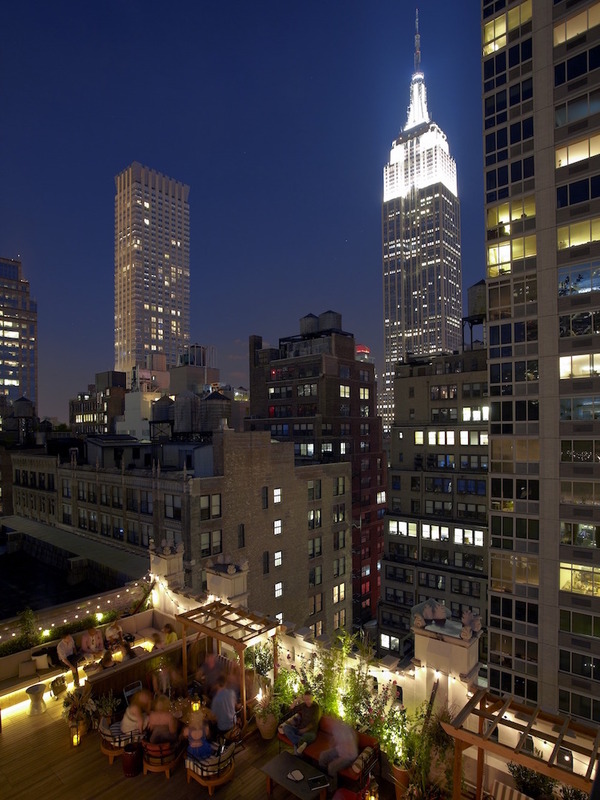 Rooftops are what blissfully drunken NYC summers are made of. 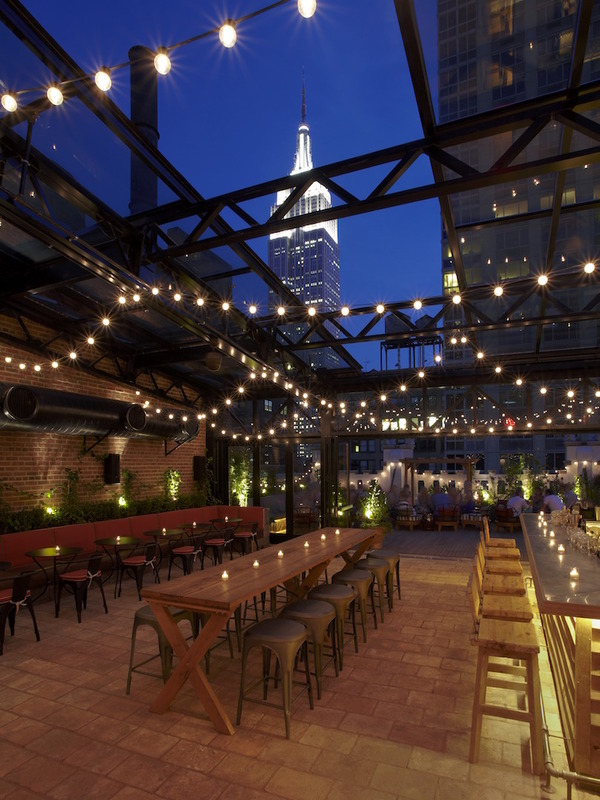 When the Labor Day apocalypse clears them out by the dozens, Refinery Hotel rooftop is one of the few that remains. Instead of living in denial like the rest of us, the hotel fully embraces each season with a new list of relevantly flavored cocktails. As fall and winter roll around, it’s out with the Rockaway Lemonade and in with the Nutty Old Fashioned and Fall Spice Margarita. Sure, getting tipsy is a lot more fun when you’re outside taking the nice weather for granted, but the Refinery successfully distracts you with cozy leather furniture and a crackling fireplace … and tons of fancy alcohol. 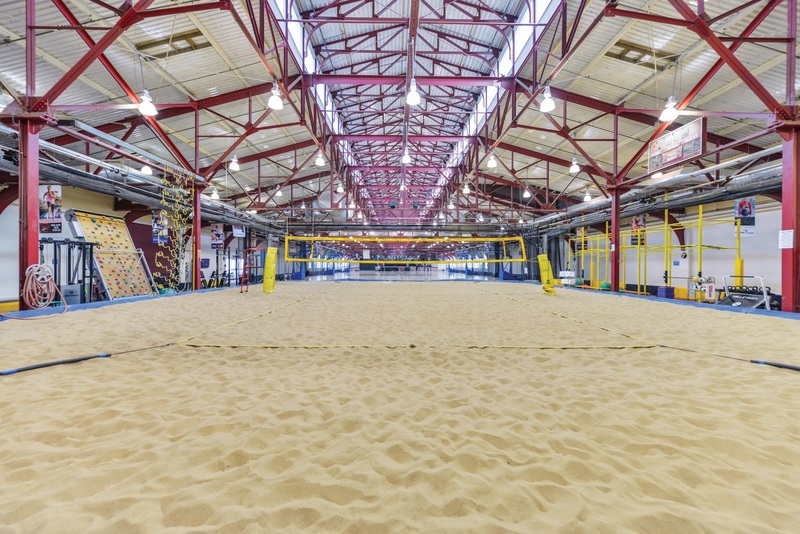 If it’s the summertime turf, not the surf that you’re missing, a game of sand volleyball might help fill the void. With a $50 day pass, you can jump in on one of the daily open play games at The Sports Center at Chelsea Piers. They run from one to three and a half hours based on three skill levels: Intermediate, Advanced and Misty May-Treanor. The lap pool and sauna are available with a day pass so you can sweat some more and then take a dip AKA a complete urban beach day. 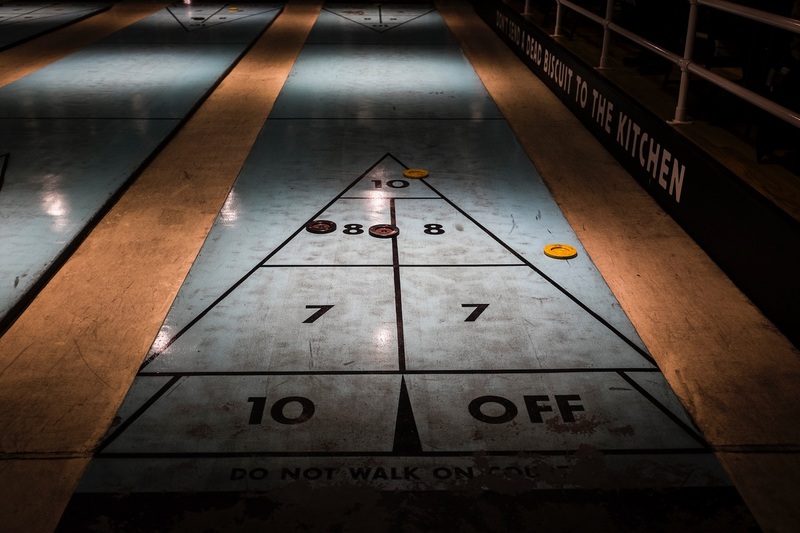 Should you ever become curious as to what Miami looked like in the 1960s, The Royal Palms Shuffleboard Club is the place to get a vague idea. Palm trees, flamingos, beach chairs, cabanas and classic turquoise shuffleboard courts sufficiently set the faux beach scene. You’ll be reminded every couple of hours that you’re actually in Brooklyn when a new food truck drives up to the window to sling trendy snack foods. Courts are rented on a first-come, first-serve basis for $40 per hour. On weekdays, try to get there when it opens at 6 p.m. or you could find yourself waiting up to four hours just to play shuffleboard. 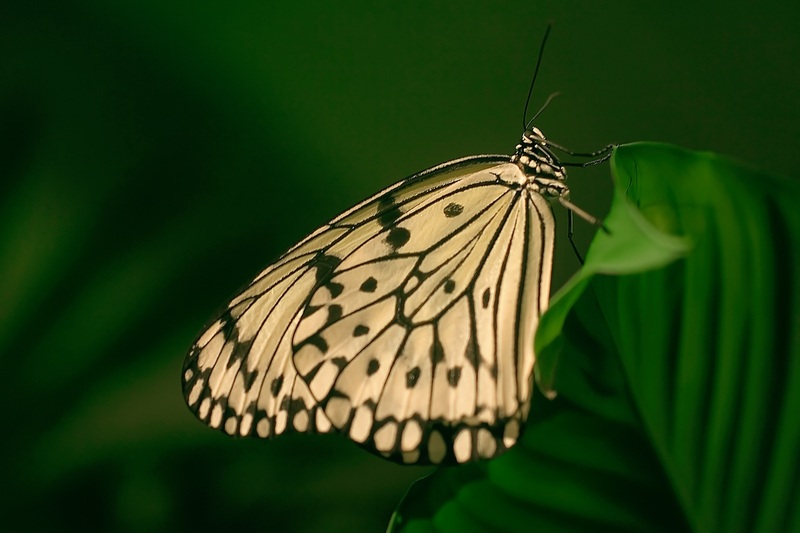 You figure if a butterfly can undergo a complete metamorphosis in a month, you could muster up the strength to put a coat on and bear the sub-zero temperatures for one day. This seasonal pop-up rainforest becomes a home and breeding ground for 500 butterflies just floating freely from tropical plant to lush tree, to mostly likely your arm or shoulder. If you’re cool with that, this is a pretty neat place to spend a chilly day. Plus, you’re already in the museum so keep wandering until it’s time to emerge back out into the concrete jungle. Tara Imperatore is a New York City-based writer whose work has been featured in The Huffington Post, Thrillist and Variety. Her lifelong passions include bacon, board games, banter and blatant alliteration. Seasonal outdoor venue presenting a range of free & ticketed performances in multiple music genres. 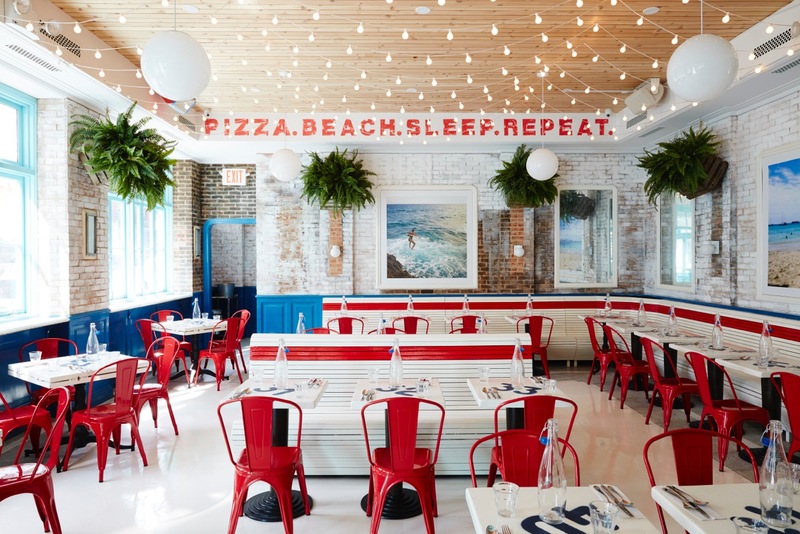 Pizza made with health-conscious ingredients plus lots of wines in a hip, beachy setting. The Helen Mattin Warm Temperate Pavilion houses trees, shrubs, vines, bulbs, and ground covers that represent the diversity of plant life in warm temperate regions around the world, including the Mediterranean basin; South Africa; Australia; New Zealand; Eastern Asia; western coastal regions of North America (mainly California); and western coastal regions of South America (mainly Chile). A kid-friendly annual Cherry Blossom Festival, a Japanese garden & more, spread across 52 acres. The largest pavilion of BBG’s conservatory complex, the Tropical Pavilion—6,000 square feet under glass—soars to a height of 65 feet to accommodate its tallest trees. It recreates a tropical forest, including waterfalls and streams. The main tropical regions of the world are represented here: the Amazon basin, African rainforest, and tropical eastern Asia. The Desert Pavilion houses plants from arid regions in both the Old and New World. The New World cacti, located on the left side of the entrance, are from the American Southwest, Mexico, Peru, Bolivia, and Chile. Old World succulents on the right are from South Africa, Namibia, Madagascar, the Canary Islands, and North Africa. Shrubs, trees, cacti, succulents, and wildflowers from these regions illustrate the diversity of desert plant life as well as the various mechanisms plants have developed to survive a desert climate. 585 acres of green space with horseback riding, antique carousel, 1783 Dutch farmhouse, zoo & more. Fish tacos & Creole pub grub pair with rum drinks in a French-accented bar with surfing decor. Beaux Arts landmark famed for ancient & modern art collections & world-class temporary exhibitions. Upscale hotel with modern rooms, several fitness facilities & a pair of notable restaurants. Stylish, bespoke rooms with industrial flair, plus a fitness center, gastropub & rooftop lounge. 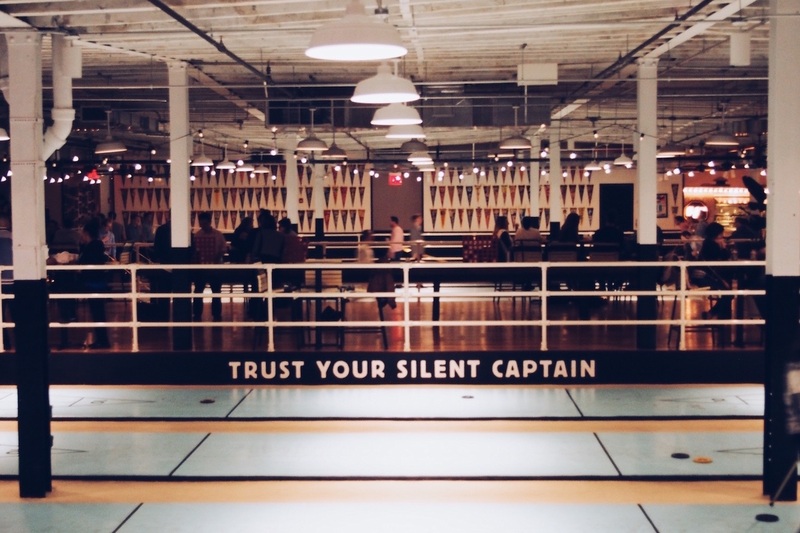 Shuffleboard courts draw playful crowds to this big bar with food trucks & occasional live music.